This is a 1356DL short reach model Bassoon made by Adler in Germany. It would be ideal for any young beginner on Bassoon or indeed an adult beginner with smaller hands. The instrument has a beautiful tone and could be used to a high standard before requiring and upgrade. The Adler Bassoons are made in Germany to exacting standards. This models is made from aged Bosnian Maple Wood which offers a beautiful sound and attractive look. This particular example has been used by a young player going through their grades and onwards to a very high standard. The instrument has had light-moderate use but the body, keywork, pads, corks and springs are all in great order because we have seen the instrument for regular servicing in its life. The instrument is supplied with the standard no.2 Adler bocal which is in excellent condition. It also comes with the standard hard case with cover, the cover shows some aesthetic signs of use (as you can see in the picture) but it's working perfectly well. The instrument is being offered with an extra soft-style backpack case included in the price. 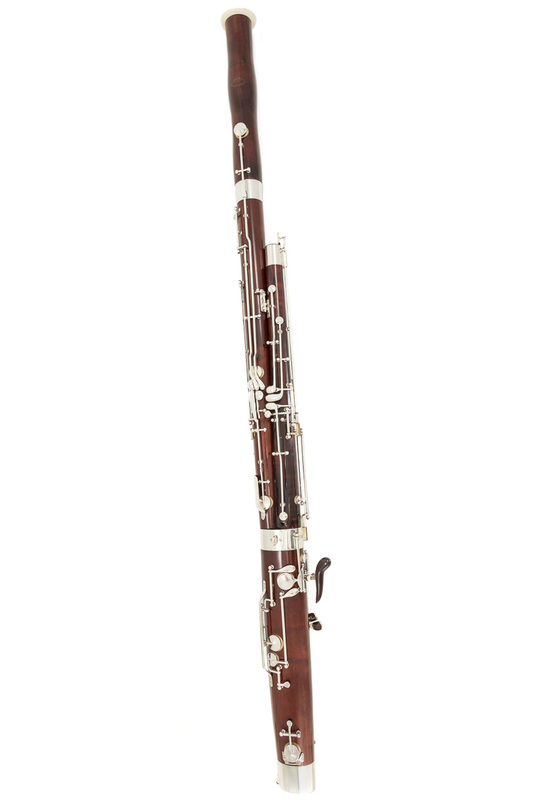 In summary, this is an excellently made instrument that would be ideal to take a young player on through their grades and upwards to a high standard. The Adler brand is well known for its quality of manufacturing and beautiful tone. The ease of play and tuning is also well respected on this model. Being German made it keeps its regulation nicely and will retain a good re-sale value.